Share the reasons you love someone with this romantic and thoughtful gift. 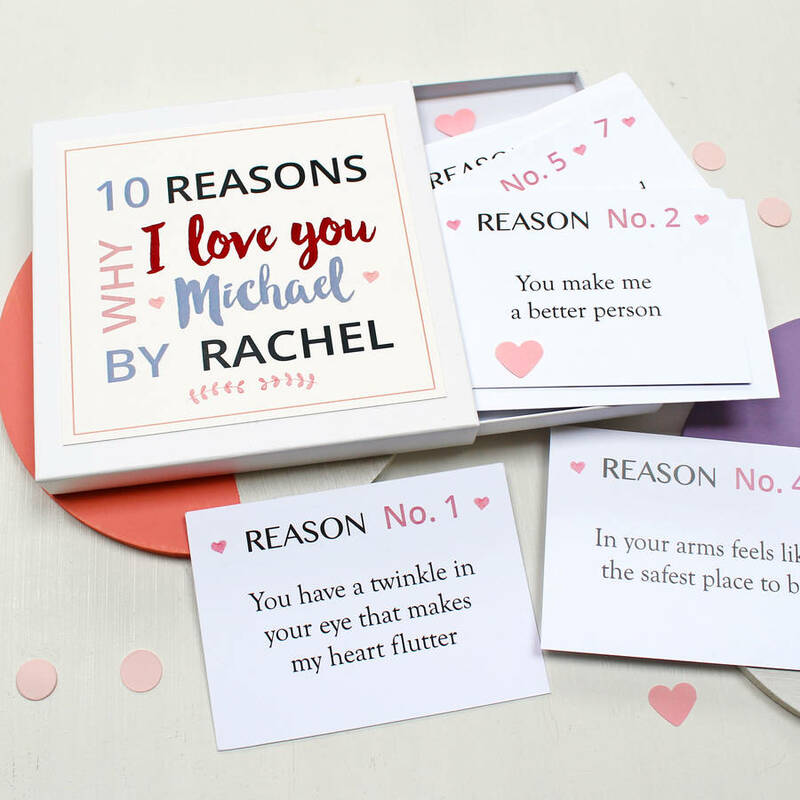 This box of love contains 10 or 20 note cards, each one for sharing a different reason why you love your other half or to share happy memories from your relationship. 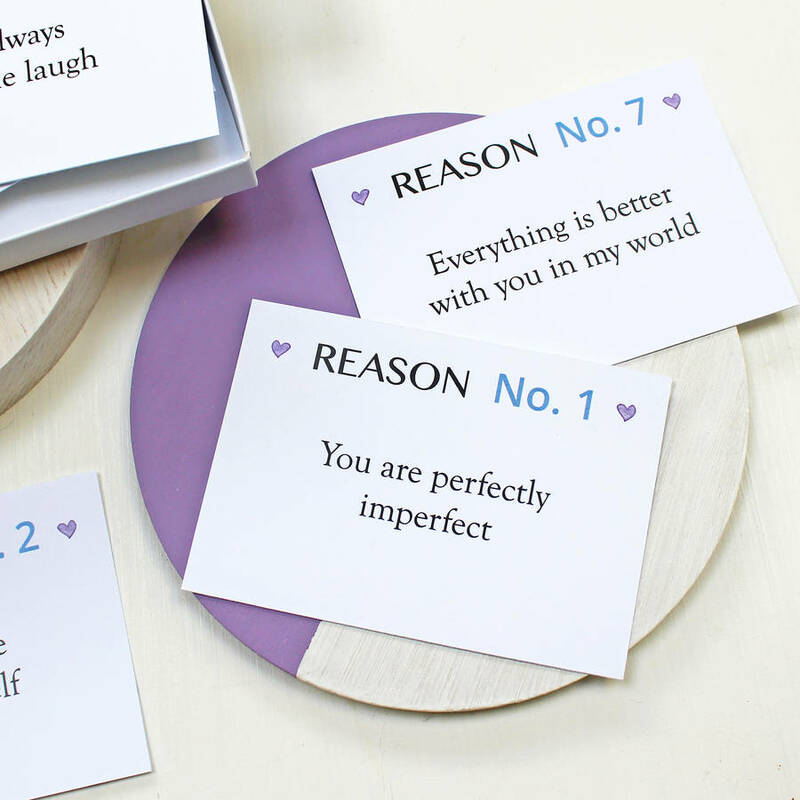 The bestselling original 'reasons I love you' notes. The perfect gift for Valentine's Day, an anniversary or any time when you want to tell someone you love them. You can choose from a high quality white or natural-coloured presentation box, which is personalised with who the box is for and who the love notes are from. 16 Life is never boring with you! 20 Because you are you. 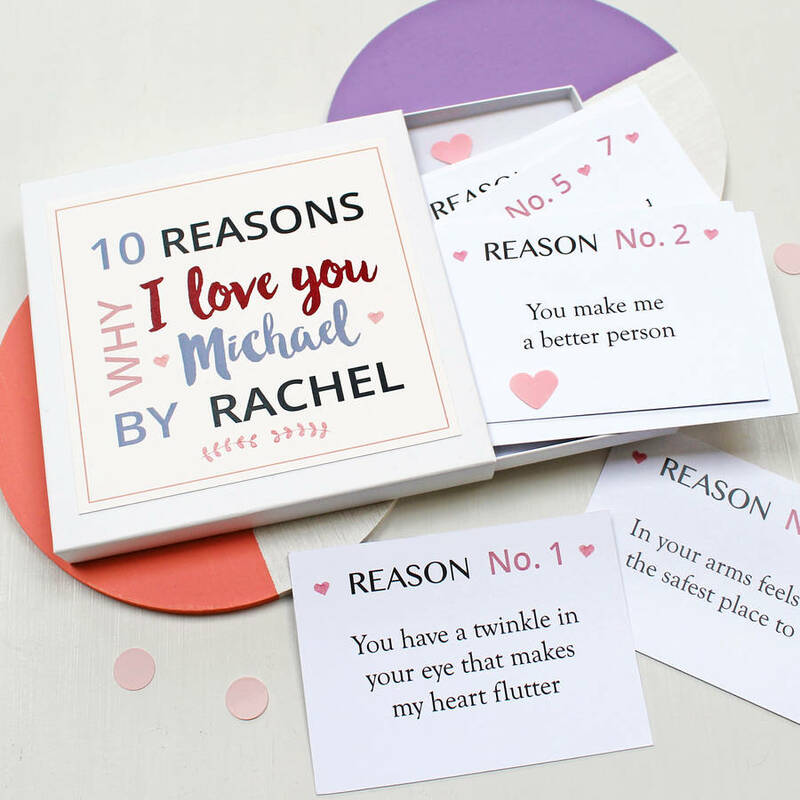 These charming Personalised Reasons I Love You Notes have been lovingly handmade in our studio in West London. The love note cards are printed on high quality thick card and are packaged in a luxury white or natural-coloured presentation box. To ensure we are doing our bit for the environment, the box is made from fully recycled card and the love note card is sourced from sustainable forests. 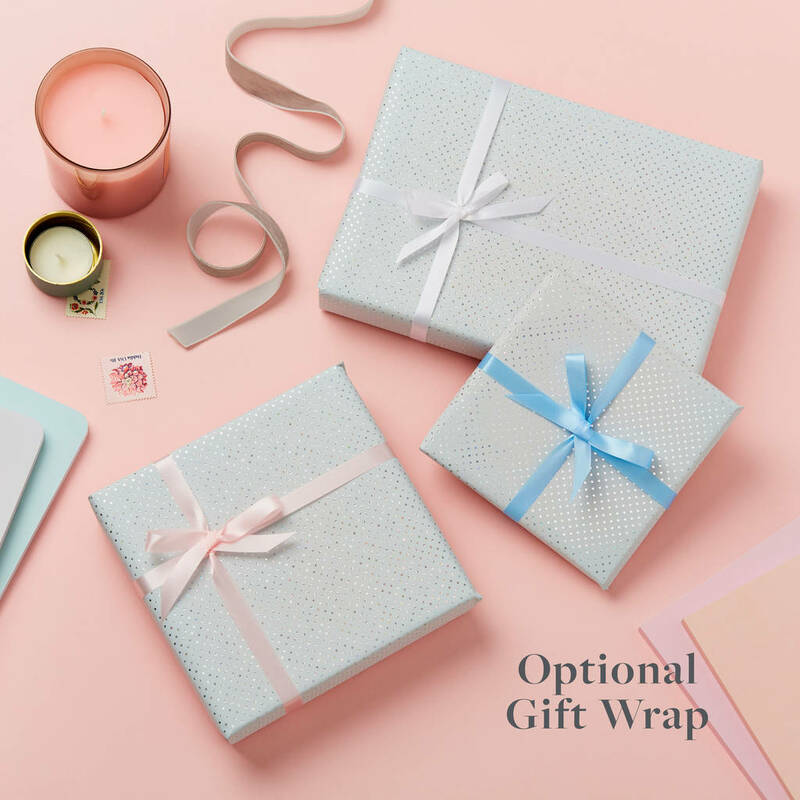 Optional luxury metallic embossed gift wrap is available. Send direct to the recipient by adding their address at checkout and we will pack your order up beautifully for you! PLEASE NOTE: We will print your love reasons exactly as you input them (as often they are personal!) so please make sure you double check any personalised text including spelling before ordering. For particularly long reasons we may need to make the text smaller to ensure it still fits nicely on the cards! The love notes are approximately 7.4cm x 10.5cm in size and the presentation box measures 13.5cm x 13.5cm.